Blogger has a built-in feature that allows you to add blog labels to your posts to organize them into specific categories. You may have used it sporadically from time to time when creating a post or ignored it as you found it too much of a hassle. On the other hand, you may have hundreds of tags and use dozens for each post. These are all huge mistakes for blogging on Blogger. For blogging on Blogger, strategically using blog labels is a beneficial step in growing your blog. Blog labels require planning and foresight when incorporating them into your blog but the extra step of effort makes them worth it. Here we will show why it is important to use blog labels on Blogger and the top tips to strategically use them on the Blogger platform. This is the main reason why you want to use blog labels. Blog labels can help organize your blog content so that you have more time to spend on other important parts of your blog such as taking photos and writing your blog content. When you have hundreds of posts over the years, it saves time and yourself a headache to have blog labels easily automatically group each of your posts to a general category which can be found when searching on your blog or the specific blog label page. 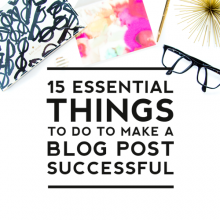 There is no need for you to have to manually categorize your posts when Blogger can do all the hard work for you. Use your blog labels to help you plan and influence your future posts. Blogger’s labels help you easily see the posts you have posted about a certain topic. 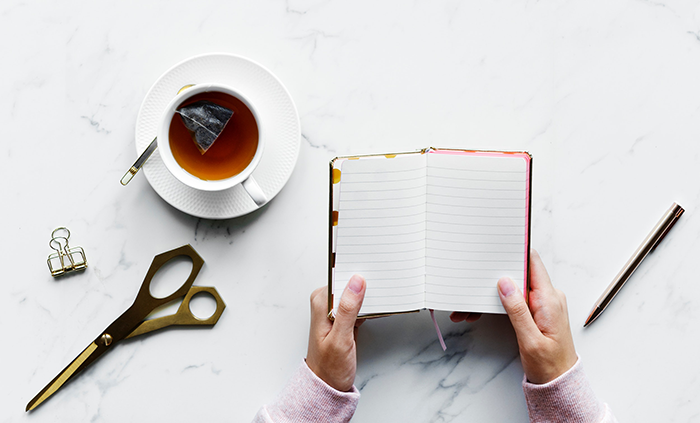 You can quickly scan your blog posts on certain topics and plan accordingly to write new posts filling in on parts you may have missed or want to explore further in the future. For example, you may want to focus more on gardening posts for next year as you have moved and have more lawn space to devote to your gardening hobby. You can browse through your posts with the gardening label and easily scan through topics you may want to cover or elaborate further. For an end of the year post, use your blog labels to scan through your posts to quickly compile a list of your top posts in a particular topic so that your readers can revisit an old post and your new readers can see a post they may have missed. Blog labels can help you quickly compile information about your blog posts. You can see how much content you have written about a certain topic and show where your interests about your blog are. If you are thinking about revamping your blog, take a peek at your blog posts using your blog labels to see if your interests for your blog have changed enough to warrant revamping your entire blog. 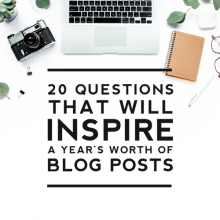 If your blog posts have consistently leaned towards your new topics of interest for the past year, a blog revamp may be a wise move to reflect your changing interests. 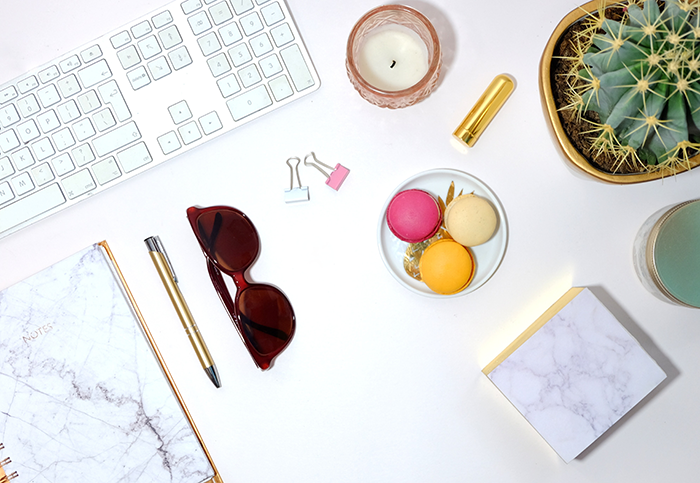 Having quick access to your blog posts using blog labels is especially helpful when you are approached by a brand wanting to work with you on a sponsored post. If they want to see other posts you have worked on related to a topic, use your blog labels to find your posts and compile data about this topic. If you have worked with sponsors in the past, create a “sponsored post” label and use it to keep track of your sponsored posts for the future. Blog labels can enhance the reading experience of your readers as they can easily sort through your content and find more posts about a specific topic by clicking on a label link. While your main categories for your blog should be on your navigation menu, your labels on each post are another way you can help your readers navigate your blog as blog labels add an extra level of categorization for more specific topics. One myth about blog labels is that they are related to SEO. Blog labels on Blogger are not related to SEO. Blog labels are categories for your blog for organizing your content. While the SEO relationship has been revealed to be a myth, it is important to remember it is possible any text in your blog posts will be read by a search engine bot and used to influence your search engine ranking. This is why spamming with fake key words is frowned upon and can lead to search engines penalizing misleading content. Your blog labels are another way to show your blog has content about a specific subject. Research shows search engine bots are smarter than ever and taking a more comprehensive approach to reading blog posts as a whole nowadays instead of scanning and focusing on a few key words for blog posts. 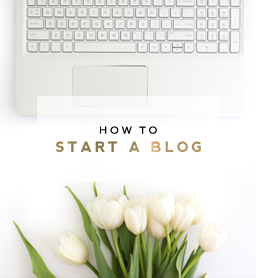 Your title, your key words, your pictures, your blog labels, and everything else inside of your blog post are all important. To tackle another myth about Blogger’s blog labels, your labels are only categories for your blog. 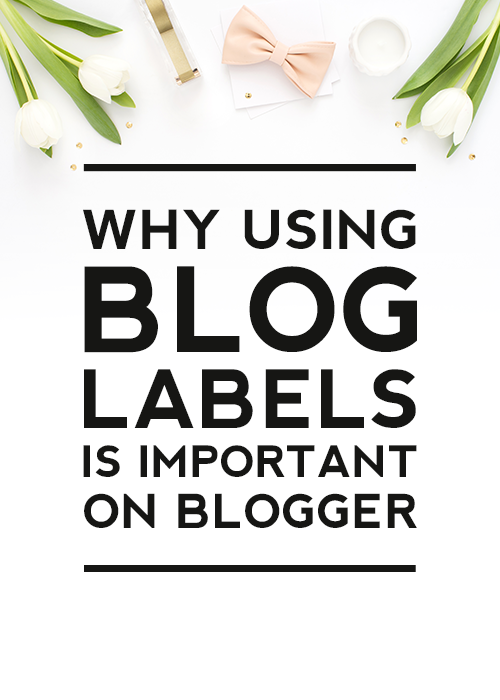 Your Blogger blog labels are not tags. Tags is an incorrect term. Your blog labels are visible to everyone as the categories for your content. Tags are not visible as they are embedded in the html of your blog. This is only relevant on the Blogger platform as Blogger uses labels but other blogging platforms such as WordPress use categories and tags. Now that we have covered the reasons and myths why it is beneficial to use blog labels, we can focus on the correct way to use your blog labels on Blogger. 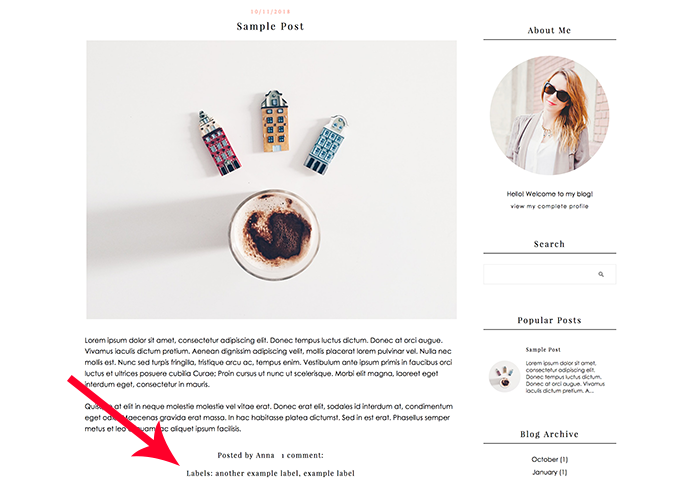 Curate a list of your top blog labels and strategically use them for your blog posts. It benefits your blog to have a handful of blog labels that frequently get used rather than to have a new blog label for each new post. If you find that you have more than a hundred blog labels and each label is only used a few times, take a moment to organize your blog labels. Delete any duplicate labels. As Blogger is case sensitive for blog labels, you may find you have more than one blog label with the same words but with different cases. Delete any blog label that is used less than a handful of times and another more general blog label can be used in its place. Delete any unimportant blog labels such as “uncategorized” or “blog” as these are not necessary to categorize your posts. Plan to use a maximum of three blog labels per blog post. Less is more here. Using a dozen labels per blog post will only confuse and overwhelm your readers and make your blog post appear disorganized. Search engines may also see this as spamming. Using more blog labels will not benefit your blog in any way and could actually hurt your blog. For each blog label, use a maximum of three words per label. Phrases of several words should be avoided. Think of blog labels as keywords or folder labels. You wouldn’t have “my summer activity ideas for the kids” on a folder tab when you can have the shorter and more succinct “kid summer activities” instead. Make sure each blog post has at least one label. 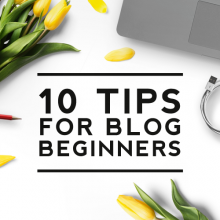 Don’t leave a blog post, no matter how short or unimportant it may be, without a blog label. If you are going to do a quick announcement, create an announcement label and save it for future announcements or incorporate your announcement into your next lengthier blog post. This helps your blog appear more uniform as each post has a label and no blog post gets lost in the archives of your blog. Don’t be too specific with your blog labels. Think of blog labels as general folders where you would organize your content. 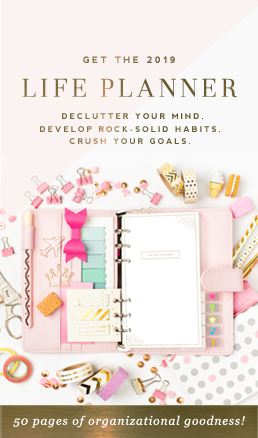 You wouldn’t create a folder titled “summer 2018 party ideas” and expect to use it more than one summer for your blog. A more general term such as “summer party ideas” would benefit your blog as you could revisit this topic each year and use this blog label to grow a collection of blog posts focused on summer party ideas. If you are planning on using a blog label only once, it doesn’t need to be a blog label and shouldn’t be created. When you are creating a blog label, plan to have more posts with it to ensure you are effectively using this blog label. If you have any questions about using blog labels, leave them in the comments.